Tuesday marked a historic day – one for the record books. Whether you are on the left or right, this country is ready for change and now is the time to act. Historically, nonprofits have advocated for important causes from improving children’s health (Children’s Defense Fund) to strengthening state drunk driving laws (Mothers Against Drunk Driving) at a national level. Now, however, advocacy efforts led by nonprofit groups are becoming mainstream and happening in city halls and state legislatures across the country. I hope each of you will continue the momentum to ensure that not only our voices, but the voices of our clients are also heard. The authors of a recent book, Seen But Not Heard, published by the Aspen Institute’s Nonprofit Sector and Philanthropy Program, conducted a survey of 1,738 nonprofits and found that 75 percent participated in some form of advocacy. They argue that “if nonprofits want to pursue their mission effectively, they need to be actively engaged in public policy.” The authors of another well-received book, Forces for Good, which studied trends in high-impact nonprofit organizations, found that, advocacy and direct service create a virtuous cycle where “the two together can create impact that is greater than the sum of the parts.” We love campaigns, such as the one by the California Association of Nonprofits called “Vote with Your Mission,” which band together nonprofits to ensure their employees and volunteers vote and support important causes. While advocacy can take many forms – from conducting research on social problems and writing op-ed pieces on issues of public policy to building coalitions and working in groups to formulate policy positions – its aim is direct: to influence government policy at the federal, state or local level. If nonprofits are going to raise their voice and embrace their role in the democratic process, where do we start? The most effective way to begin and sustain an organization-wide advocacy effort is to start small and build up. It is important to first educate yourself about which efforts are taking place at the local, state and national levels and how your organization and clients are impacted. Depending on the cause or issue you represent, you may find that it is more effective to be focused on either the local, state or federal arena. In a recent study by Johns Hopkins University, 63 percent of nonprofit organizations reported that they principally target local and state officials. 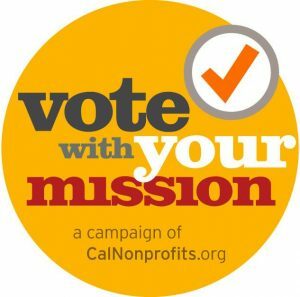 One way to educate yourself on important issues that impact nonprofits is to join your local state nonprofit association. These organizations typically lobby on behalf of their membership and keep members abreast of state policy efforts. In addition, the National Council of Nonprofits offers a free, monthly e-newsletter with updates on federal issues. Join Others: Many organizations – through formal associations or ad-hoc coalitions – join forces to advance policy in specific issue areas at local, state and federal levels. These coalitions are often very effective at achieving policy change due to their large membership base and ability to leverage grassroots support for policy efforts. Typically, the cost to join is minimal and is used to hire a lobbyist to support the coalition’s policy initiatives. Participate in Grassroots Efforts: Policymakers depend on their constituents to educate them as to which issues matter most. Remember that “all politics is local,” and policymakers need help making statistics come alive in their districts through local real-life stories. You can communicate with them about your issue through letters, phone calls or even e-mails. You can even start a grassroots campaign simply by sending your volunteers a customizable template and asking them to call or write their local policymaker. In fact, many nonprofits report that including volunteers in grassroots advocacy efforts is an effective strategy for long-term volunteer engagement. Invite Policymakers: Policymakers cannot and should not become experts in every policy area. Therefore, it is important for nonprofit organizations to educate policymakers and their staff on their cause and how policies can impact their clients. Invite your local policymaker to speak at a client graduation or tour your facility. They will undoubtedly walk away from the experience with a new appreciation for your work and your clients. Form a Board Policy Committee: While board members often assist in fundraising efforts or with nonprofit operations, they are also an untapped resource for advocacy efforts. In a recent study, only 33 percent of nonprofit organizations stated that their board was somewhat or significantly involved in advocacy efforts. Once you have become educated about the issues that have the greatest impact on your organization and its clients, you can choose to become more actively engaged by taking the following actions: 1) Monitoring these issues reactively and responding when needed and/or 2) Campaigning for proactive policies that will improve the status of your organization and its clients. Awareness & Education: Holding forums or events to educate policymakers on your issue areas and how they can support your efforts. These events can be at the state Capitol (“Hill Day”) or within the home districts (“Off the Hill/In-District Visits”). Policy Advancement: Crafting specific policies that can be adopted by policymakers on your issue areas. Policy Research: Conducting surveys or focus groups to inform the policy debate. Grassroots Advocacy: Launching a grassroots campaign to inform policymakers about how much your issues matter to their constituents. Media Advocacy: Leveraging the media to raise awareness of the public and policymakers about your issue areas. Leaders of nonprofit organizations are often unsung heroes who diligently serve the needs of others and never seek to create noise about the work that they do. However, as the adage says, “silence is assent.” Now more than ever, as we watch many of the neediest Americans suffer due to economic hardships and many want change, it is important that we leverage our expertise and advise policymakers on the best solutions. We can serve our clients directly through serving their immediate basic needs, but also serve them by being advocates for their cause. If we don’t get involved, who will ensure the change we seek happens? We would love to hear how your organization is engaging in advocacy, be it at the local, state or national level.